How can you evaluate what podcasts are doing for you as a podcast guest? 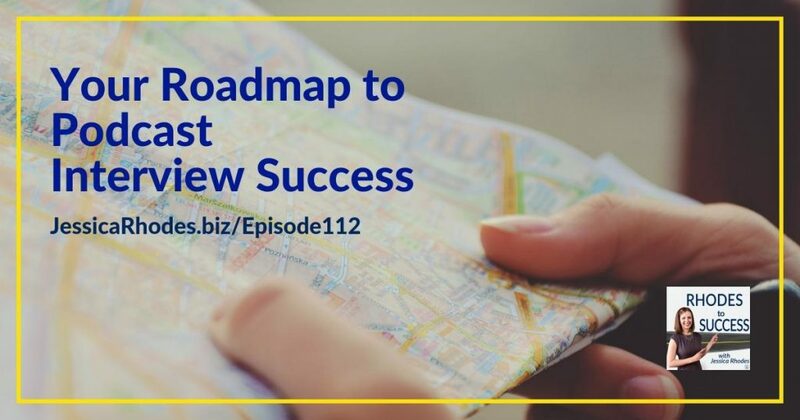 After listening to this episode of Rhodes to Success, you will walk away with a clear blueprint on what you should be doing in order to get value and measurable activity and results as a podcast guest. I’m not sure if and when these podcasts are being released. Stay in the loop when interviews are being scheduled. Create an internal spreadsheet to track the hosts, recording date, website, mailing address. Most hosts should email the guests when the podcast is live. If 6-8 weeks have passed and you haven’t heard if an interview has gone live, reach out to the host and ask. As soon as the interview ends, ask when the episode is scheduled to be released. I’m not sure if anything of value, measurable activity, is coming out of them [podcasts] for my sales funnel. In order to get measurable activity from podcast interviews, you have to give a clear call to action that can result in measurable activity. Give one clear and specific call to action. Rather than give out the corporate site, give out a funnel, such as LeadPages, and test them. If the people from the podcast go into a funnel and it doesn’t work, then you need to change the page. Podcasting is marketing. Think of every podcast as a different audience, and you need to share that you are on a podcast. Podcasting is a symbiotic relationship. Guests need to promote the podcast too. What makes a landing page convert? Be really specific with the headline. Headlines are the number one thing you can change out to increase conversions. Make sure your images speak to what is going on with your landing page. Ensure the form has a huge call to action button. Landing pages shouldn’t have menu items. There should be one specific goal. Spend time on copywriting. This will convince someone to take action on your page. Doing the interview is only one part; there is a lot more you have to do in order to leverage the interviews. To get results from podcast listeners, you can’t just rely on the host to do all the marketing to your audience. The strategy is to use a multimedia approach using images, videos, and podcasts. Use Meet Edgar to republish old content and cycle in new images. Add your podcast interviews on a media page so they are in one place. Always tag the host when you post on platforms.